Everyone is obsessed by the biggest video sharing platform YouTube and fewer of them knows the original strength of YouTube as far as marketing your business is concerned. 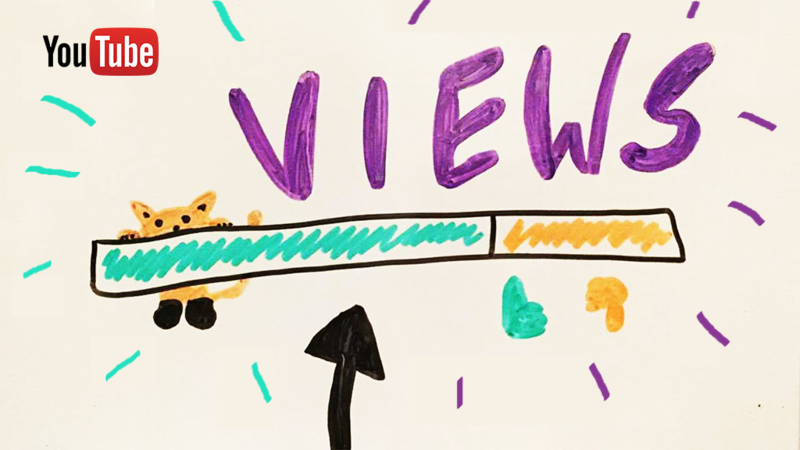 There are fewer ways to get more views on YouTube videos and we are going to talk about them in this blog post. With over a billion unique YouTube visitors per month, there is a large potential audience for every uploaded video. Whether it’s a video of someone performing a prank or a video for some product launch or promotion, YouTube is the go-to platform for video consumption or to get more views on YouTube videos..
Whatever you do, before you hit the publish button, make sure your videos are highly engaging and will be of value to your audience to get more views on YouTube videos. YouTube subscribers usually do not like channels that don’t produce regular content. Especially in today’s digital age, consumers want continually more and more entertainment. You need to be able to keep up with your subscribers’ demands to get more views on YouTube videos. Stick to your schedule and do not upload videos off of this schedule. This will hurt your reputation. It’s like watching your favorite TV series; a new episode comes out according to a regular schedule. This consistency helps you stay engaged as a viewer and get more views on YouTube videos. Ask your audience for a subscription and a like if they liked the video. Tell them to check out your website. Give them your phone number and ask them to call you (…Certainly that’s not recommended). End your videos with a smile and keep your visitors eager for more to get more views on youtube videos. Whatever it is, your audience will love the chance at getting something for free, and they will tell all of their friends about it (especially if the prize is really good). This is not only free promotion, it’s free viral promotion. For a really big giveaway, many YouTube hosts require users to follow all of their social media profiles to enter into the contest. Hope the above stated tips will work for you, I am not saying doing them alone will give you more views as there are tons of other ways as well but yes, doing them will increase the views you are getting until now. Also read about our two latest plugins Pinterest Feed Pro and Appointment Scheduler Pro.